2) Add ginger and green chillies and fry well. Best and unbeatable combo for chapathi that too during travel time.Love it. Love this kind with chapathis,yummy!! 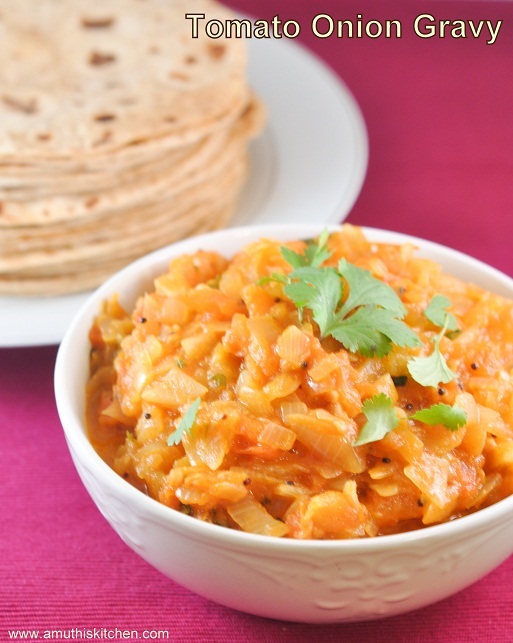 wonderful and perfect combo for chapathis or pooris. simple yet so tasty... something my mom would make often.